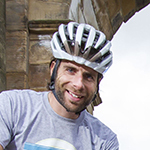 I really look forward to Pedal for Scotland each year and taking on the Classic Challenge ride so I can spend the day chatting to people and enjoying the great atmosphere. 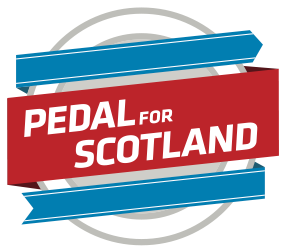 Pedal for Scotland is a wonderful, sociable day on the bike for me. I know for some people it is the big sporting challenge of their year so I wish everyone taking part the best of luck. As we crossed the finish line, there was a palpable sense of achievement and the joy was written on my face. This was my longest ever ride and I felt that I could ride the whole route back. My son Connor (9) took part in Pedal for Scotland in 2016 with his uncle and absolutely loved it. So when the chance came around again, he was eager to take part with his whole family. The day couldn’t have gone better; the sun was shining, the atmosphere was fantastic, the route was delightful and most importantly, it was all for a great cause. It was lovely for us all to receive a medal at the end too. My husband and I, as well as our two children, thoroughly enjoyed the day and urge everyone and anyone to take part in future events, you won’t regret it! 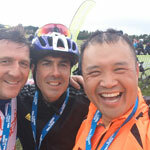 Pedal for Scotland this year was exceptional, especially as I had friends and family with me. The event is well organised and the people are amazing whether volunteers or riders. Everyone is always friendly and happy to chat whether at the start, 20+ mile mark or the finish. There is always someone happy to chat and encourage you along. I love it! Another incredibly well organised event today. The stewards and marshalls are absolutely brilliant! Clapping and cheering everyone on. It is sometimes forgotten the amount of work involved - so cheers to you guys! 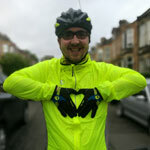 You’re awesome Pedal for Scotland. The atmosphere is fantastic, and seeing everyone from kids to adults taking part is brilliant. Anyone with any fitness level can do it which is the best part about it. It’s a really well organised event and proving how good it is every year. 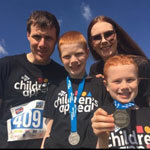 We all did the Classic Challenge and loved the hills (and the finish!) the most about this year’s event. It was a great family atmosphere and kids thoroughly enjoyed it, we’ll definitely be back next year.